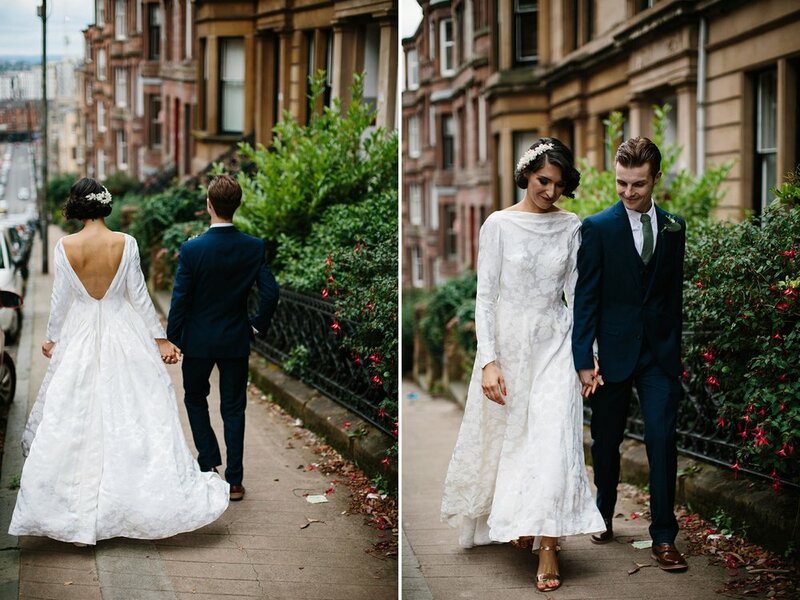 Jess and Chris were married on 23rd July at Cottiers in Glasgow's West End. They were planning their wedding for two years. Martin from McLellan Photography captured their day and huge thanks to him for sharing his images of their day with us. You can catch Martin on his website, Facebook, or Instagram. 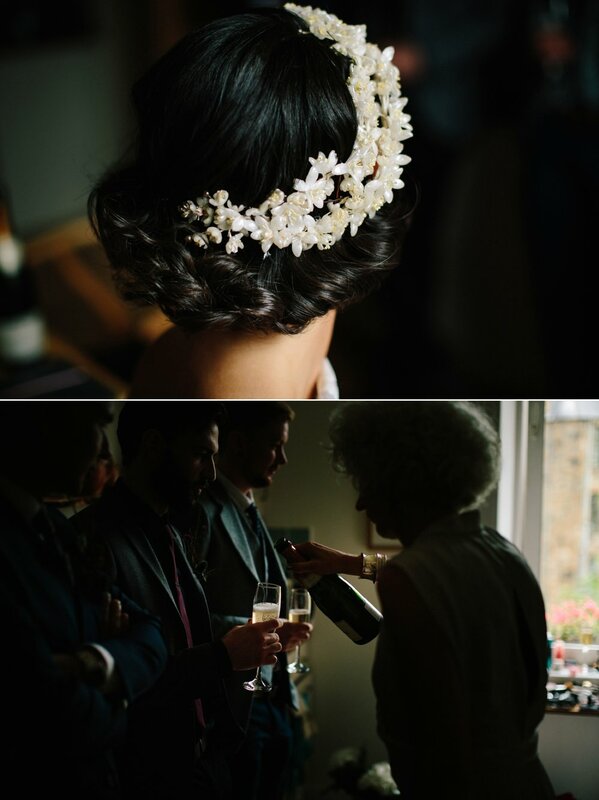 "Cottiers was the first place that we were both immediately in love with. We’d visited other venues, and there were elements of these venues we liked, without ever really ticking all the boxes for both of us. It may sound a little cheesy or clichéd, but as soon as we saw the main room in Cottiers we were pretty much sure that it was the venue for us." "I knew I didn’t want a traditional dress. My mum and I went shopping around vintage shops in Glasgow and it was the fifth dress I tried on in Starry Starry Night. I knew it was the one for me. It was a beautiful long sleeved 1950’s gown that I had altered locally." 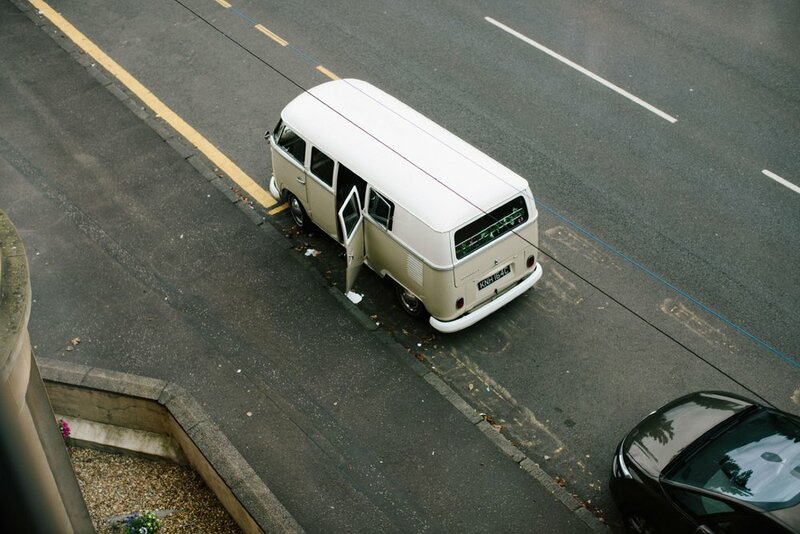 "We went for a registrar through Glasgow City Council. A lot of people think that humanist ceremonies are the only way to personalise a ceremony, but that’s not the case anymore. Our ceremony was completely tailored to what we wanted. We had some personal readings from family and friends, a hand fasting and a Quaich filled with our favourite Spanish liqueur that our friend made for us." "We talked everything through. With perhaps the exception of knowing the names of types of flowers, or buying my dress, we decided on every other element together. We were both very much of the opinion that it was a day for us both and we wanted it to reflect both of our personalities. We didn’t want a ‘by the book’ wedding, as it were. We wanted to do things our way and I think that shows in the end result of the day itself. 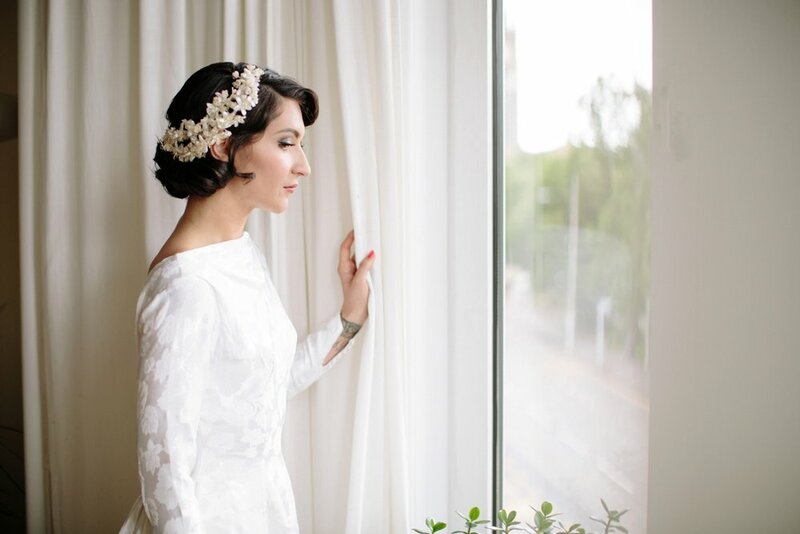 "Seeing everything come together right before the wedding was my favourite part of the planning process. You have a vision of how you'd like it to look, but you aren’t ever 100% on how well it will work together. When you get to see the end product it makes the planning, deliberating and occasional heated discussion worthwhile!" "The ceremony was our favourite. 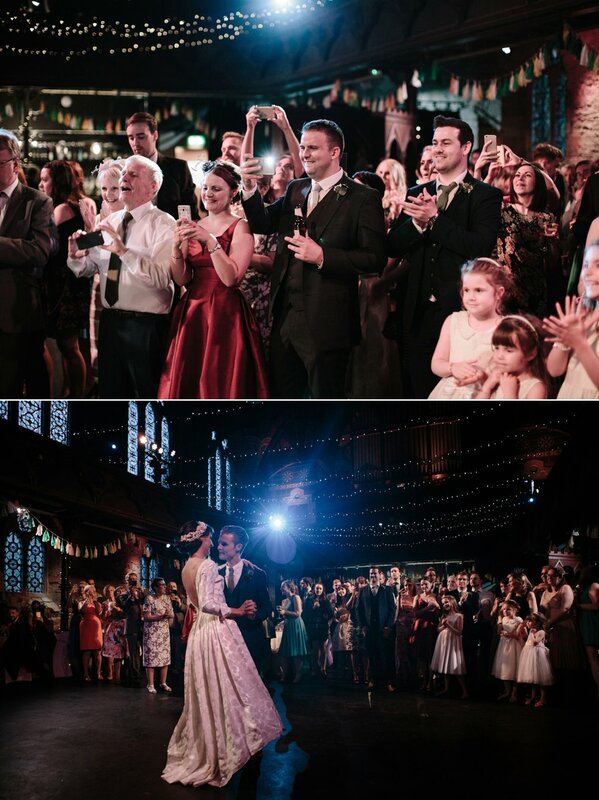 It was fantastic having moments to ourselves as well, and the staff and planning at Cottiers allowed us to take a step back and enjoy moments of tranquility throughout the madness of the day." "We did the decorations so seeing them up was fantastic. We picked the flowers, the favours were made by a dear friend, while another friend played guitar as I walked down the aisle. My stepmother is a jeweller and made the rings and the my brother designed all the invitations and place settings. I think the fact that a lot of our friends and family were involved helped make it so special for us." "My clearest memories are from during the ceremony itself. Chris' moments are immediately before and after the ceremony. Seeing Jess for the first time in her dress as well, he says he was beaming!" "Start planning straight away. Try and leave yourself a free day the day before, as there will invariably be something you have to do last minute that you didn’t anticipate. And enjoy it as well, it doesn’t have to be stressful." "Our photographer Martin was excellent, we met and spoke with him a few times prior to the wedding and he really exceeded our expectation, every photo is fantastic." "Also, Erin, our wedding co-ordinator at Cottiers was fantastic, she was very approachable and made us feel very comfortable throughout the planning process. It helped set us up and put our minds at ease for the day." "Finally, Amanda McGauley at Glasgow City Council. She talked us through everything and helped personalise the ceremony as we wanted it. Meeting a few times and liaising with her throughout again meant she really understood what we were after."